In the end, writing us a check to manage your building can actually SAVE you money. So, call us, and let’s see how Alexanderson Properties can make that check you write to us the best money you never spent. With us managing the day-to-day details of your property, not only do you get the experience of seasoned professionals who know the secrets of how to select tenants and then, as importantly, keep good relationships with them, but, with our keen eye for preventive maintenance, our handling of the hiring and payment for repairs, and the benefit of our trusted vendor relationships and buying power, we work to actually reduce your tenant losses and maintenance costs. Chances are, when you bought your rental property, you figured that all you needed to do was find good tenants and collect the rents. Ahh, if only life were that easy! 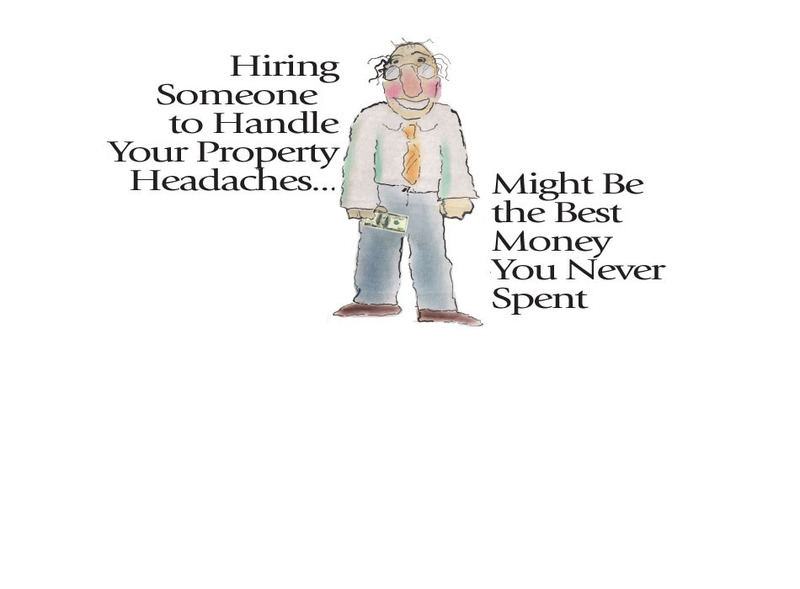 At Alexanderson Properties, our job is to make your life just that easy by taking on the rental and maintenance headaches that you didn’t realize you had signed-up for.